"When you are sorrowful look again in your heart, and you shall see that in truth you are weeping for that which has been your delight." even as the river and the sea are one." 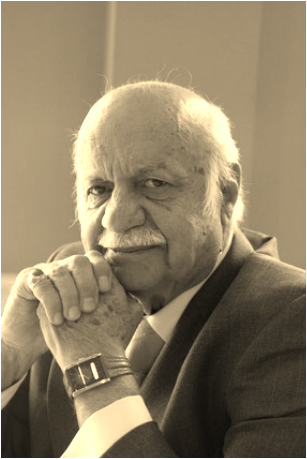 It is with the heaviest of hearts that we share with you the passing of our beloved Suheil Badi' Bushrui (1929-2015), who left this earthly plane on 2 S﻿eptember 2015. We extend our﻿ sincerest and humblest gratitude for the immense outpouring of love, comfort, and prayers we continue to receive from all corners of the globe. We would be most honoured and delighted if you could please join us (in person and/or through prayer) as we celebrate dear Suheil's loving character and achievements, and especially, the ascension of his spirit. Light refreshments will be served at a reception immediately following the funeral services at the Bahá’í Center. If you would like to send a message to the dear family of Suheil Badi' Bushrui, please fill out the form below. We would be delighted and would love to hear from you.